Joining a fraternity or sorority at Tulane is a unique experience in which diverse individuals come together to create a special bond; it is a community that stretches across the nation and over many years of tradition. It offers academic support, genuine brotherhood/sisterhood, leadership and philanthropic opportunities, lasting friendships and so much more. For many students, joining a fraternity or sorority helps one become part of a smaller community within the greater Tulane community. Being able to walk around campus and recognize smiling faces helps to create a special college experience that will never be forgotten. Since the founding of the first fraternity on the campus of the Medical College of Louisiana in 1858, fraternities and sororities have been an important component of student life at Tulane University. The Department of Fraternity and Sorority Programs encourages the Greek community to become an integral part of the institution. The growth and development of the Greek community is contingent upon its joint cooperation and continued relationship with Tulane’s students, staff, faculty, and the New Orleans community. In recognition of the significant intellectual, cultural, and interpersonal opportunities that Greek organizations provide, Fraternity and Sorority Programs is committed to fostering a positive co-curricular experience for students who choose to affiliate with a Greek organization. Through its various programs, the department is committed to supporting the valuable learning experience that the Greek community offers. promoting an appreciation for diversity. As scholarly pursuits are the foundation of college life, fraternities and sororities at Tulane recognize the importance of academics. The governing councils require a minimum grade point average of 2.5 to participate in recruitment and intake events and students must have completed at least 12 hours as well. Many individual organizations have higher minimum grade requirements for joining and initiation. It is important to understand that if your grade point average is much lower than the average chapter requirements, your chances of joining will be reduced. Likewise if students become new members and are initiated, they must maintain certain minimum academic performance to remain in good standing. The Greek community recognizes academic excellence at its Greek Awards ceremony and through the initiation of members into the Order of Omega. 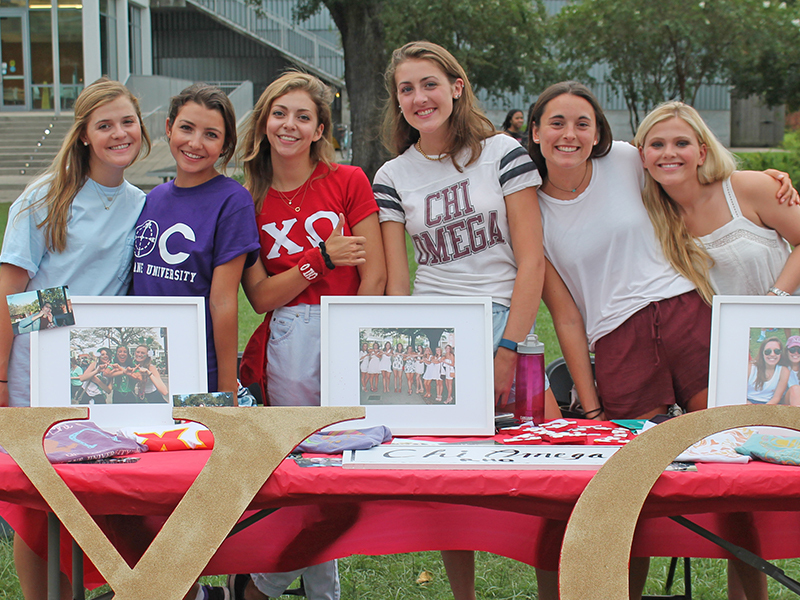 Tulane Greeks want their members to do well in school, and there are programs in place to help. Chapters have study hall hours to assist in time management in addition to tutoring programs which create an environment in which students can excel. Many chapters also hold academic success sessions and seminars to support their members academic efforts. Some individual and national organizations offer scholarships to chosen members. Greek-letter organizations were founded on the principle of successful scholarship. The academic performance of each chapter is tabulated every semester to determine overall chapter rankings. The all-Greek GPA has been as high as a 3.439!